This kit is supplied with 3 pulleys not just for looks - the combined saving of 4.9 lbs (2.2 kgs) is significantly more than what is achieved by replacing just the crank pulley alone. 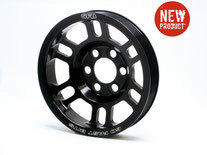 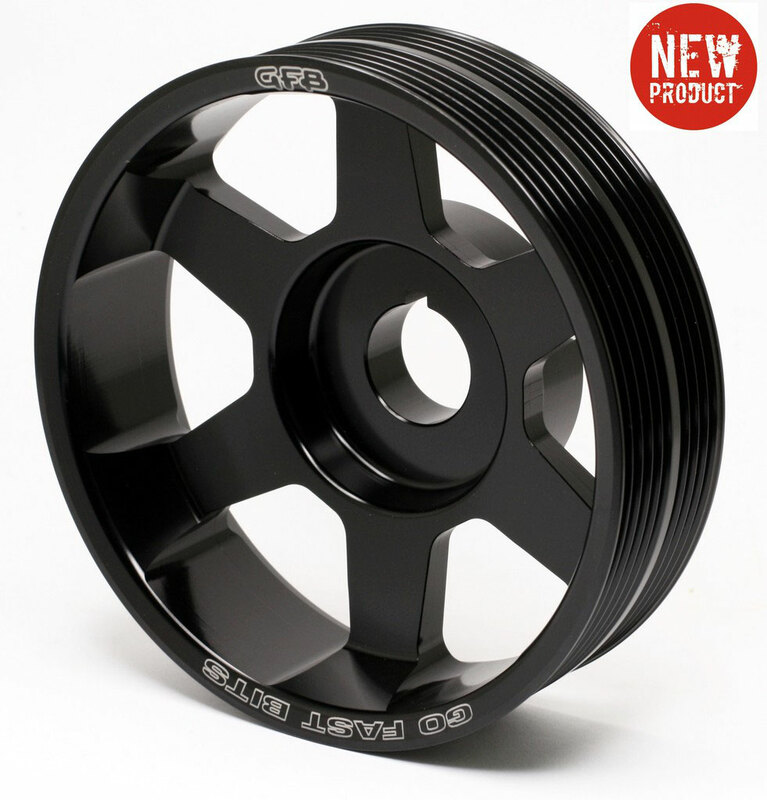 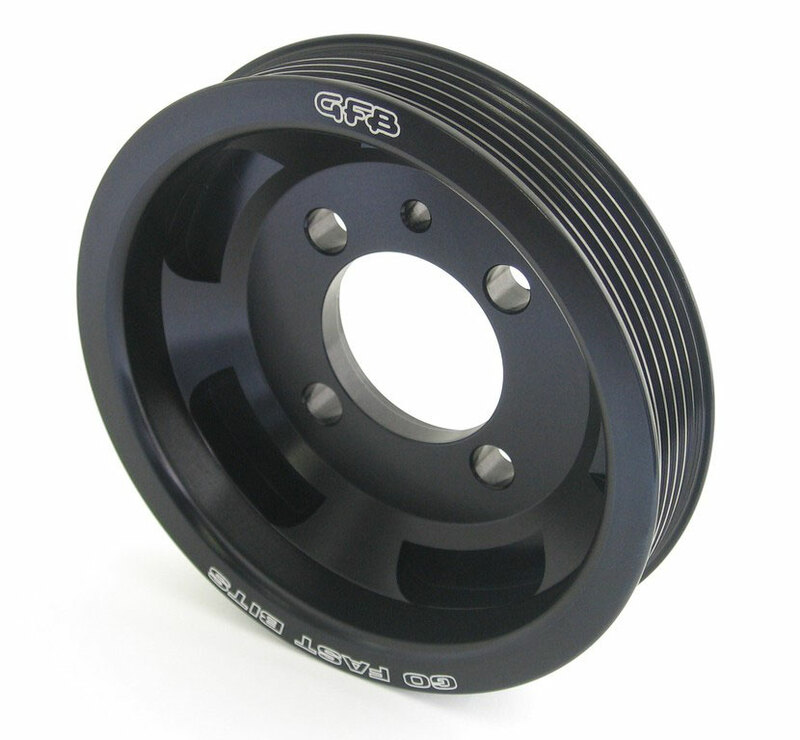 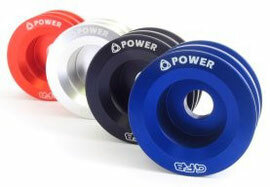 New from GFB is the Under-drive Crank Pulley for the Mitsubishi EVO VIII & IX. Like all GFB pulleys, the material used is 6000 series aluminium alloy billet, which nets a large weight saving of 1.4 kg over the factory pulley, without sacrificing strength or reliability. 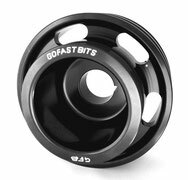 The kit comes complete with the required serpentine belt, and installation is dead easy – no specialized tools are required and it can be done in as little as 30 minutes. 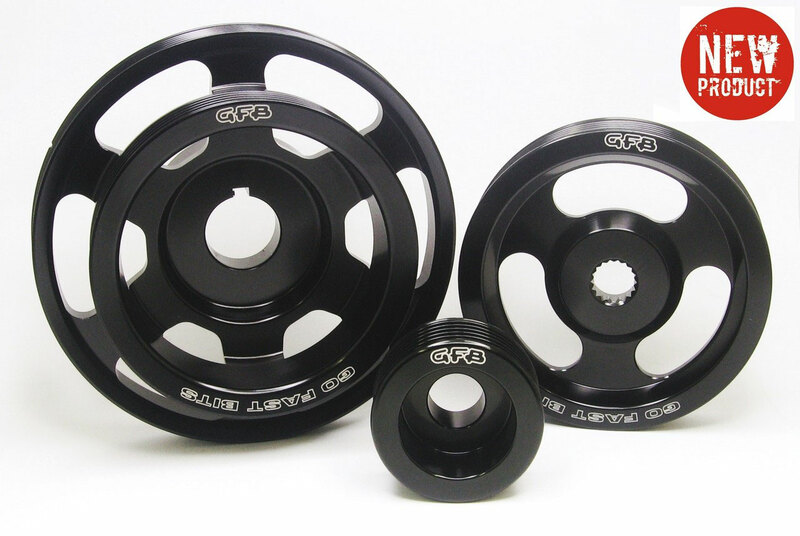 The accessories are under-driven by 20%, which does NOT compromise their performance at low RPM, but does help reduce parasitic losses at high RPM. 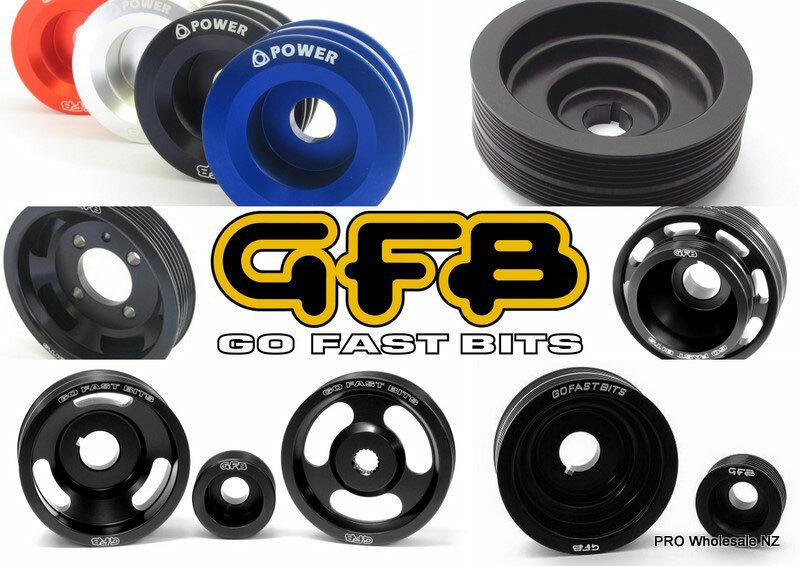 Like all GFB lightweight under-drive pulleys, the improvement to the car is felt in the form of sharper throttle response (particularly off boost), and the engine feels more willing to rev. 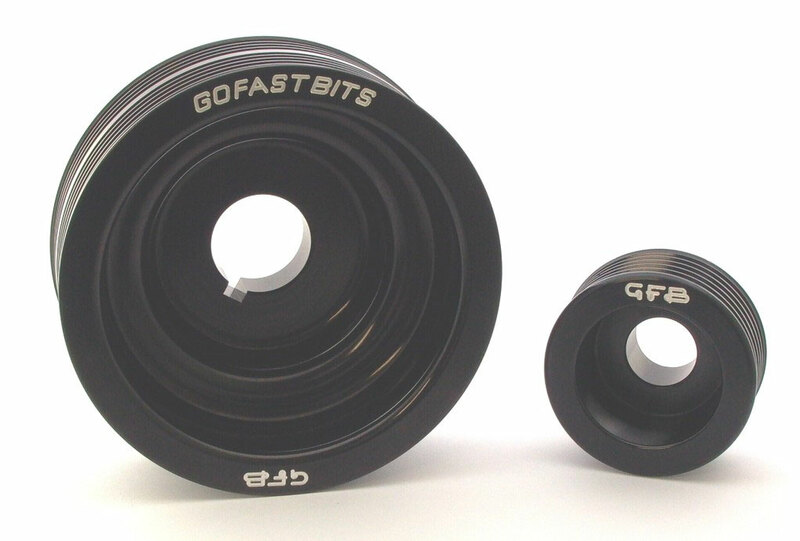 A useful comparison is the difference between performance on a cool evening vs. a warm day, or having the A/C off vs. on.